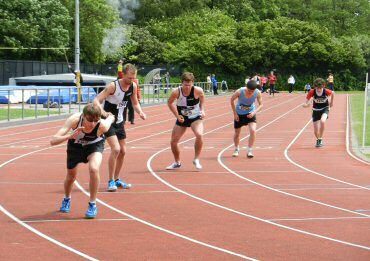 The first Wessex league match of the season took place at our Track on Sunday. This gave us the opportunity to use our Electronic timing/photo finish equipment for the first time in a league match without the assistance of anyone from outside our club. Ray Bell and Amanda Mann are to be congratulated in operating this new system which has really added value to both our club, our track and our members. The meeting took place in the shadow of the building of the brand new shared facility which further demonstrates what exciting times these are for our club. 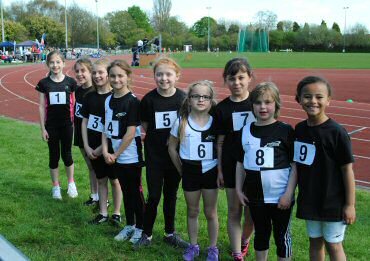 In addition to a full compliment of 20 Quad Kids we fielded probably our biggest ever Wessex League team consisting of a massive 70 Athletes many competing for the first time. It was a day of solid rather than spectacular early season performances which were good enough to take to take us to 2nd place on the day only just behind a traditionally strong Oxford team but ahead of the likes of Southampton and Woking as well as strong Waverly and Fleet teams. Our U15G showed their massive strength in depth by winning their section as did our U13B a quite unbelievable performance considering the amount of 1st year U13s in the team. This shows the great work Steve and his team are doing at Fundamentals in preparing them for the step up in competition. The U17 men came in 2nd and the team were supported by U17G, U15B & U13G who all finished 3rd. The QK squad also did themselves proud by coming 2nd overall with the Boys finishing 2nd and the Girls 3rd giving them an overall 2nd place. Next Wessex is June 2nd again at our home track.